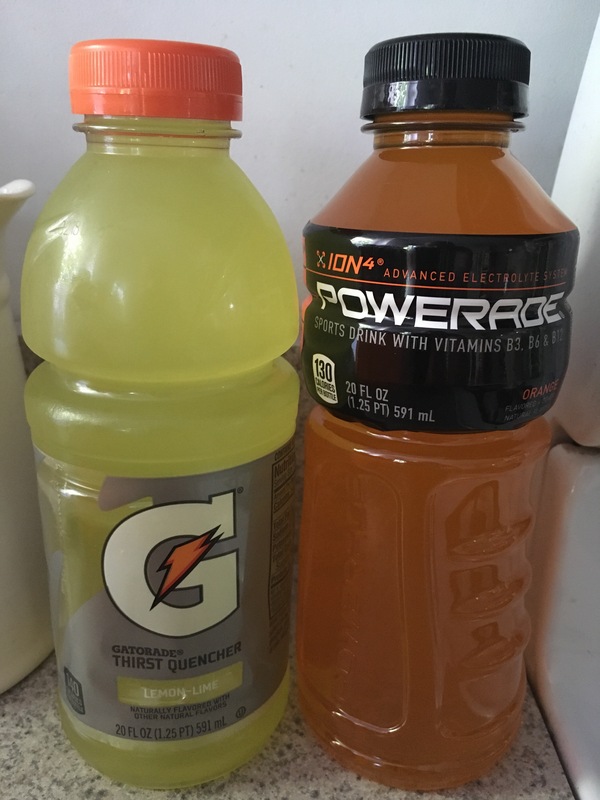 Sure you could find better electrolyte drinks especially in a powder form but being that these are the two most popular sports drinks on the market here is the rundown on which is better and why. Gatorade has 10 more calories per serving. Not a big difference so no clear winner in this round. When it comes to electrolytes it looks like Powerade has a little bit of an edge since it contains 4 different electrolytes (sodium, potassium, calcium and magnesium) plus b-vitamins while Gatorade uses only 2 (sodium and potassium) as it’s main electrolytes. Although potency between the main two might make Gatorade look a little superior. It is a tough call but Powerade wins this round. This one is a little tricky since they both basically just contain sugar. But upon closer inspection we see that the sugar in Powerade comes from high fructose corn syrup which can be more likely to convert to body fat even for the active individual. This round goes to Gatorade. Well of course this is an individual thing but since they both contain well over 90% sugar it is hard to say if any taste bad and comes down to more a preference to flavor more than anything else. So there you have it. Each one has a positive and negative attached to it. It is now your turn to decide which one if any to include for your workouts. This should go without saying but of course if you are shredding or looking to lose some body fat these drinks are not what you need. But if you are an endurance athlete or you are bulking up they can be helpful.